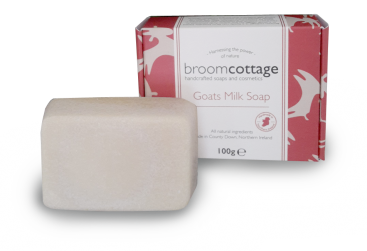 Broom cottage is a family run business established by myself Deborah Anderson. I had always dreamt of being self-sufficient and moving to the country to produce my own food for my family the way nature intended. In 2004 that dream came true when we moved to a rural location on the Ards peninsula in Northern Ireland with no experience of farming to start our new adventure. Fifteen years on we now have one of the best jobs in the world working on our small farm producing our own range of top quality products using our own farm produce. NOTICE: We now offer free shipping on all orders over £20! 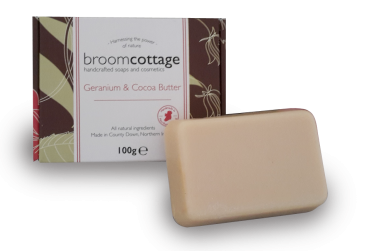 Love this soap as it has a delicate fragrance and the oatmeal in the soap gives gentle exfoliation for the skin. The bar is a perfect size to fit snuggly in your hand. Would recommend this soap for anyone with sensitive skin as there are no harsh ingredients to irritate delicate skin. Delicately fragranced soap that’s perfect for sensitive skin and gentle enough to use on your face. It’s lovely to know that the honey in the soap is the producers own too. 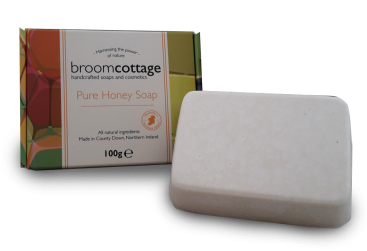 Would also recommend Broom Cottage hand cream – a little goes a long way and the Broom Cottage honey tastes like honey should. 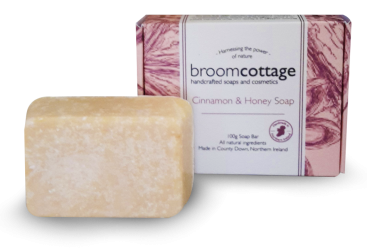 Broom cottage is a family run farm business based in a small village on the scenic Ards peninsula in Ireland. Stay up to date with all the latest products, news from us.